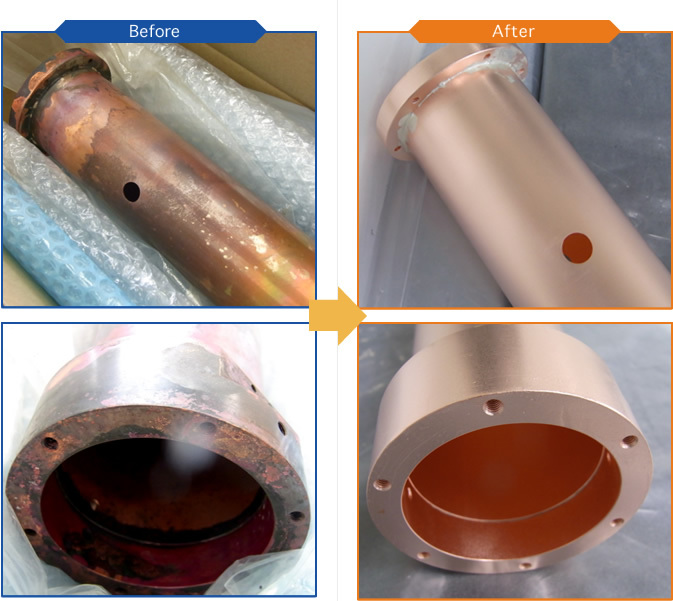 Copper & copper alloy are used often for vacuum systems by their good thermal/electrical conduction properties, but surface treatment is very difficult from their easy tarnish behavior. Therefore, after CP process, it is need a process that to prevent tarnish of the surface. In CuCP process, we do not use organic solution for processing to prevent tarnish, thus CuCP is no pollution to vacuum systems and helpful to achieve good vacuum environment. *There are cases that brass surface after CP becomes more rough. the product was oxidized and tarnished by thermal process.